When many people think about waterfront or coastal living, cute cottages and cozy bungalows come to mind. However, Sea Island real estate includes more than small to modest size homes. There are large residences and stunning mansions on offer too. They are ideal for people in need of spacious, private living arrangements. Tucked away on West Fifty Fifth Street are beautiful homes with classic, coastal vistas. Some of the residences boast more than 15,000 square feet of living space, a dozen bathrooms and more than 10 amazing bedrooms. Also, there are properties with private balconies, grand staircases, expansive home bars, heated pools and other luxurious features. So, those who choose the right Sea Island waterfront homes may never have to leave their residences again. They can simply stay in place and enjoy all of the diversions their properties and the island has to provide like tennis or swimming. Furthermore, they may choose to fire up their personal yachts and make their way to the Intracoastal Waterway for an afternoon of deep-sea fishing and drinks on the starboard side deck. Itâ€™s all possible when people opt to live on Sea Island. And donâ€™t think that Sea Island real estate is only for billionaires. 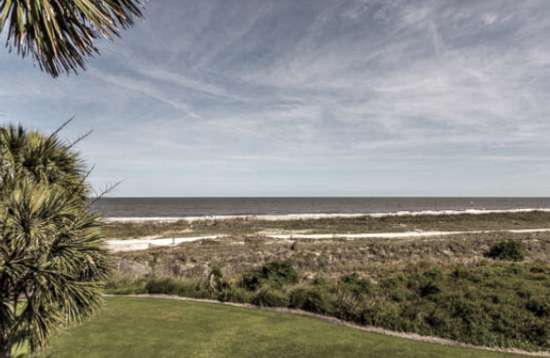 There are waterfront homes on Sea Island that come with smaller price tags and less square footage. For instance, there are residences on Dune Avenue, East 35th and East 28th Street that each has less than 10,000 square feet of living space. However, they are packed with wanted amenities, fantastic scenery and architectural details too. Examples include marble-clad bathrooms, cast coral stone, fireplace equipped great rooms and walk-in closets. To learn more about these homes as well as the great depth and breadth of Sea Island real estate in the near future, please contact us today.